Deanne graduated from Purdue University in 2009 with a focus in behavioral neuroscience. Deanne’s desire to utilize her degree led her to enroll in EMT school in 2010, and she began her new career with Cataldo Ambulance in 2011. Since then, Deanne’s love for EMS has grown, and she has taken on many roles. Deanne has served as a BLS road crew, an FTO, educator, and facilitator. This diverse experience has helped Deanne become a confident, well-rounded, healthcare provider. Though Deanne has worked in many different roles, she really enjoys being a part of the road crews where she is able to make a difference in her patient’s lives. Deanne is a committed EMT, FTO, and team player. Deanne will do what is asked without hesitation and often brings new ideas and suggestions to the forefront. Among other things, Deanne is professional, dedicated, and always willing to go the extra mile to help her team and patients. Deanne takes each shift seriously and is always on top of her game. Deanne is well respected among her peers and others around her. Patients often will call or write to express how much they appreciate Deanne’s help. Over this past year, Deanne has really stepped up to fill in as a facilitator for many of Cataldo’s educational classes. Deanne creates lasting relationships with those around her and her constant professionalism has helped her to de-escalate a few situations. Deanne continues to offer new ideas and suggestions to bridge the relationship between staff and crew members. 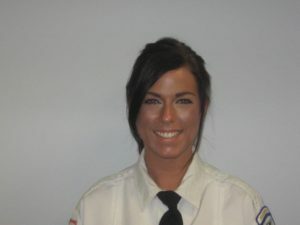 Deanne is selfless and works for the best interests of her patients, the company and the EMS industry as a whole.